I recently had a nasty issue with my seriously awesome laptop (Lenovo ThinkPad P50 with a Samsung 950 Pro NVMe n.2 SSD). 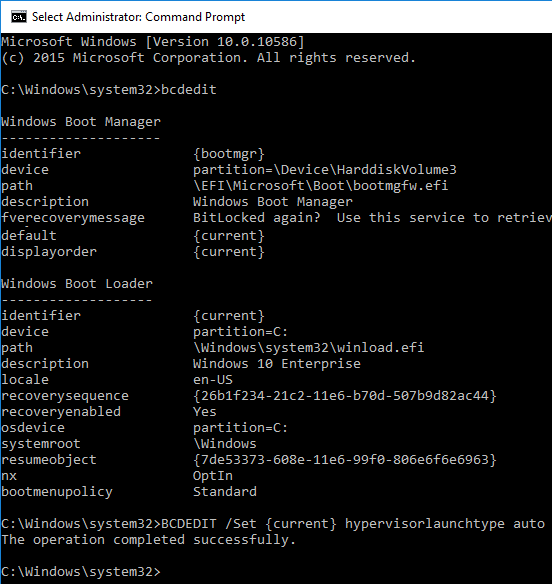 After a full shutdown (hold Shift when shutting down Windows 10) on the next power on I got a BitLocker recovery prompt. You'll need to use recovery tools. 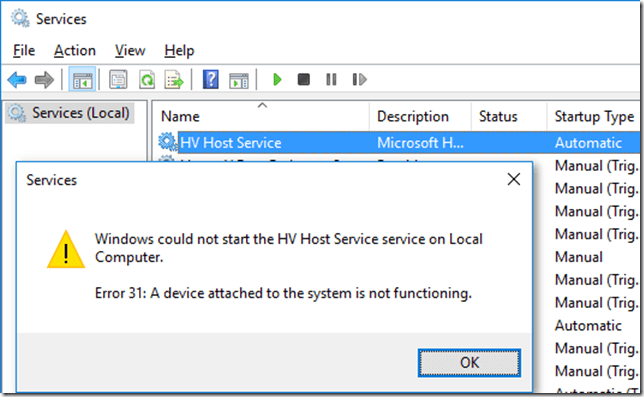 If you don't have any installation media (like a disc of USB device), contact your PC administrator or PC/Device manufacturer. 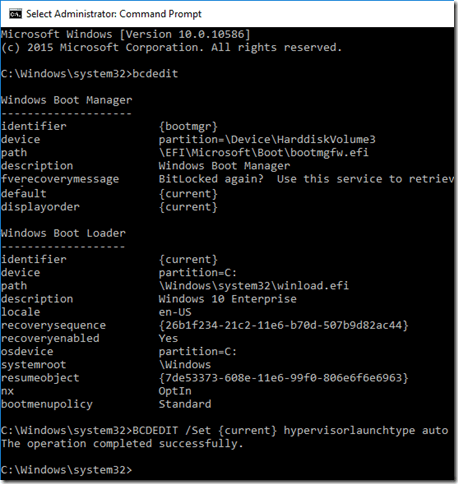 I pulled out my handy-dandy USB drive that just happened to still be configured as boot media for Windows 10 v1511 and used the F12 boot selection to boot to it. 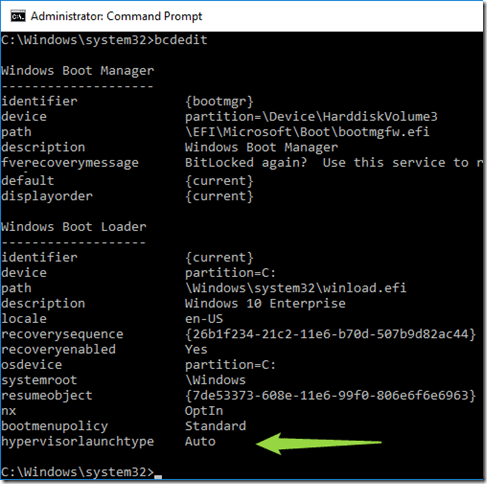 When prompted to install Windows, instead I typed Shift+F10 to get a command prompt. 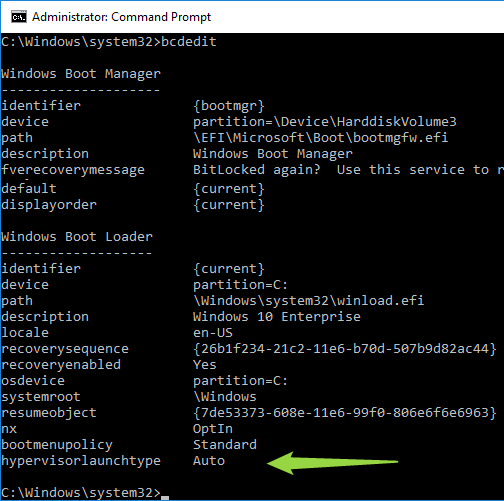 I ran the following commands to confirm that the SSD did still exist. Time to see if it worked… reboot… success! Windows loaded right up. Awesome, I’m back in business. I decided to suspend BitLocker on my Windows partition for now just to be safe. I’ll re-enable it after I’m sure everything is working. Doh! 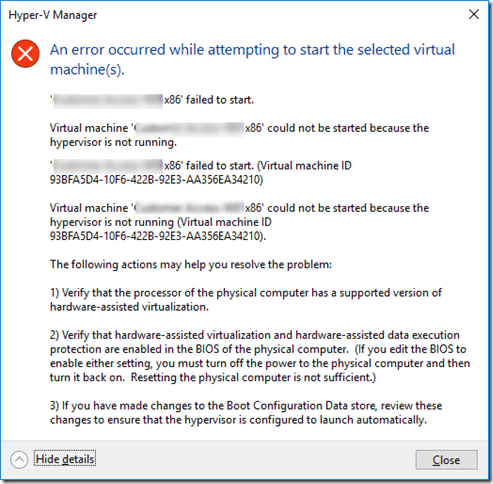 The VM guest failed to start because the hypervisor is not running. 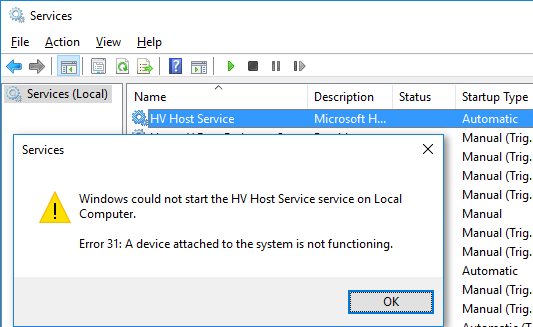 Windows could not start the HV Host Service service on Local Computer. Error 31: A device attached to the system is not functioning. 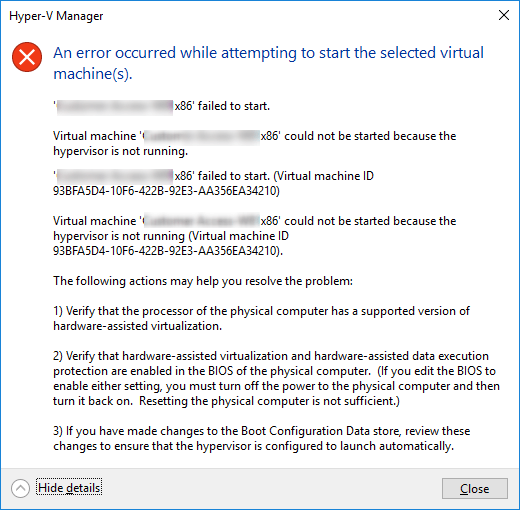 Reboot again and Hyper-V is now running my VM lab! Whew. That’s wasn’t much fun! Thanks to a few blogs and forum posts that helped out a ton.